"Nitya-siddha means they are eternally associate of the Supreme Personality of Godhead. They are called nitya-siddha. And sādhana-siddha means one is fallen in this material world, but by practice of devotional service according to the rules and regulation, injunction of the śāstra, direction of guru, in this way, one can reach also the same position as the nitya-siddha. This is sādhana-siddha. And there is another. That is kṛpa-siddha. Kṛpa-siddha means... Just like Nityānanda Prabhu, He wanted that these Jagāi-Mādhāi must be delivered. 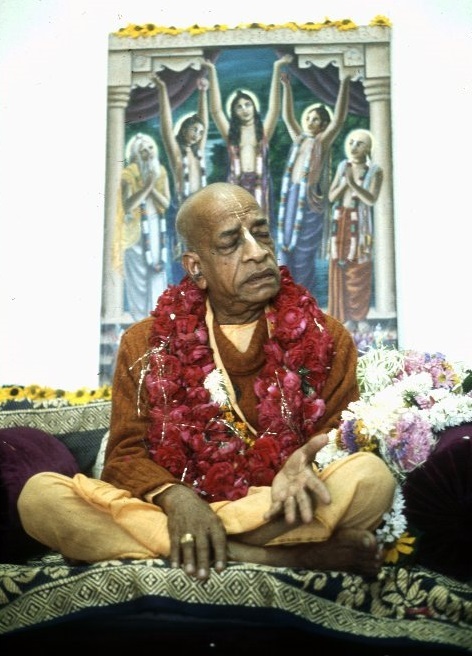 There was no sādhana. They never followed any rules and regulation. They were thieves and rogues, very fallen condition. But Nityānanda Prabhu wanted to show an example that 'I shall deliver these two brothers. Never mind they are so fallen.' That is called kṛpa-siddha."